Keeping the ships of the Royal Navy watertight is a critical challenge. 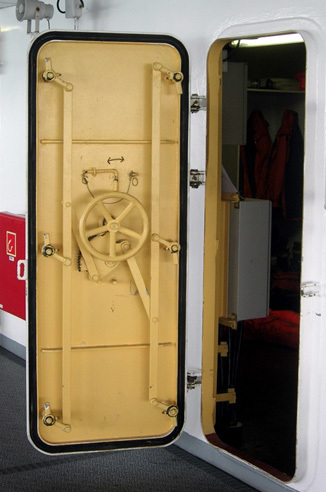 So working with the directors of the engineering company that supplies them with doors and hatches was both fascinating and important. They were facing difficult negotiations with the procurement team in the Ministry of Defence due to legislative changes and a different approach to buying this important kit that is required to maintain the fleet. We were engaged to help the directors build the negotiating position and enhance their skills in challenging a key client. When Civil Service rules run into an estimation process there’s massive room for chaos to happen. In this instance a lowered threshold that required more bureaucracy for a procurement project ran into an over-enthusiastic estimate by a buyer as to what was required. The procurement team were insistent that their proposed spending would breach the threshold and our clients were desperately trying to work out how to deal with the associated extra administration over a 7-year period. It was going to cost a lot of money and that would have to be built into the price paid by the taxpayer. It’s a nightmare scenario for a small business to face – even though they were the sole supplier in the process. A customer is invoking a rule, based on what they think is going to happen when everyone else can see that is actually unrealistic. We coached the directors through a process of understanding the people “across the table” together with how to plan more effectively for the delivery of spares and repairs. At the same time we helped them come up with a better way to model the likely requirement. The revised model demonstrated that the procurement team had seriously over-estimated how much would be required. And we were able to show why they were reluctant to admit it – they didn’t want to lose face with their own superiors for having made a mistake! Nevertheless we helped our clients produce a reliable figure that was beneath the new threshold and they got official confirmation that the extra administration was not required. Our interventions helped the directors take control of the situation leading to a more profitable contract by identifying other things they could reasonably charge for and at the same time deliver a better deal for the taxpayer.